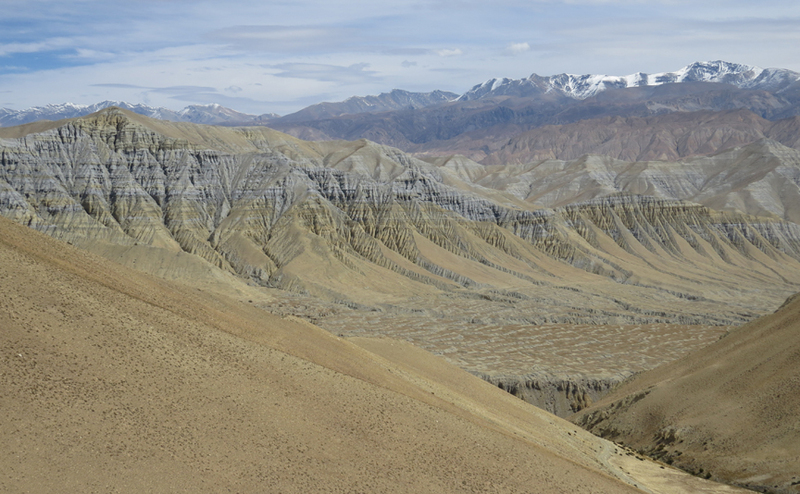 The region of Mustang is a remote, semi-independent, former Tibetan kingdom within the territory of Nepal. 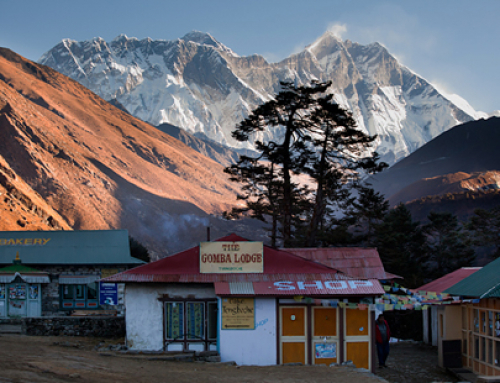 It lies just north of the Annapurna Region, on the Tibetan border. 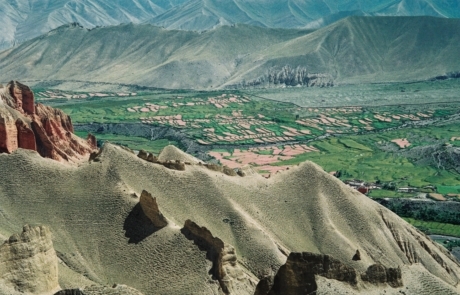 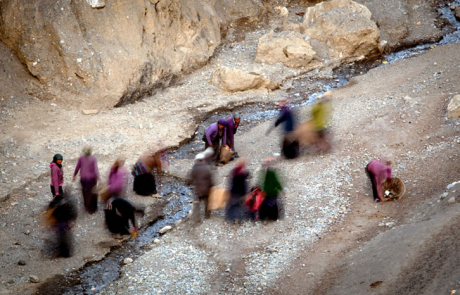 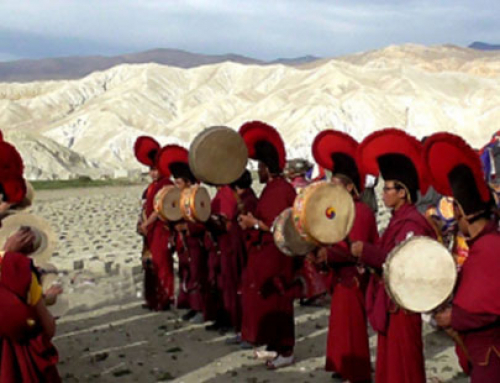 Mustang is one of the last bastions of undisturbed Tibetan culture in the world. 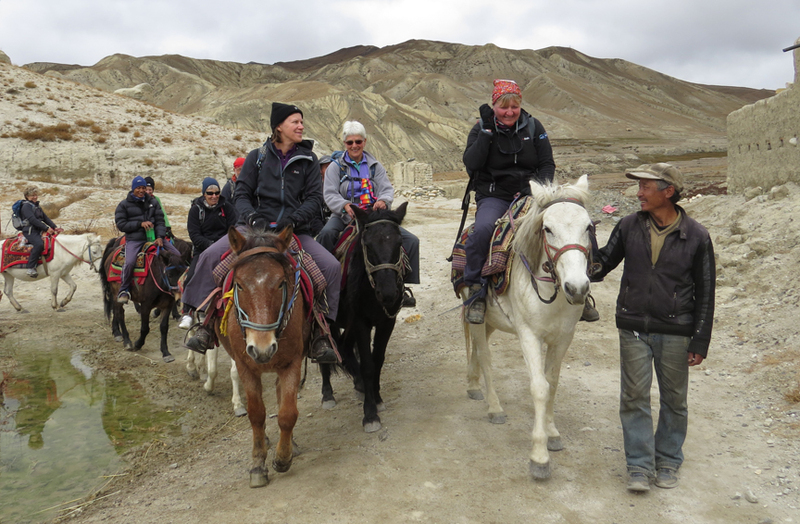 Buddhist monasteries and nunneries are built into forbidding cliffs and mountain ledges, and the starkly beautiful, windy, arid Tibetan plateau is unbroken for many hours of trekking, or riding by horseback. 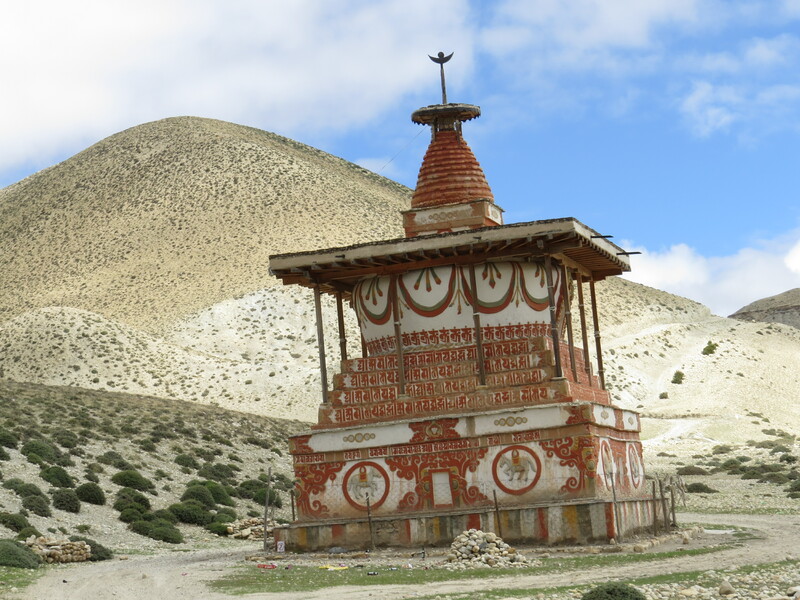 The trek enters upper Mustang at Kagbeni, a quaint medieval town nestled in apple orchards and encircled by snow covered mountains. 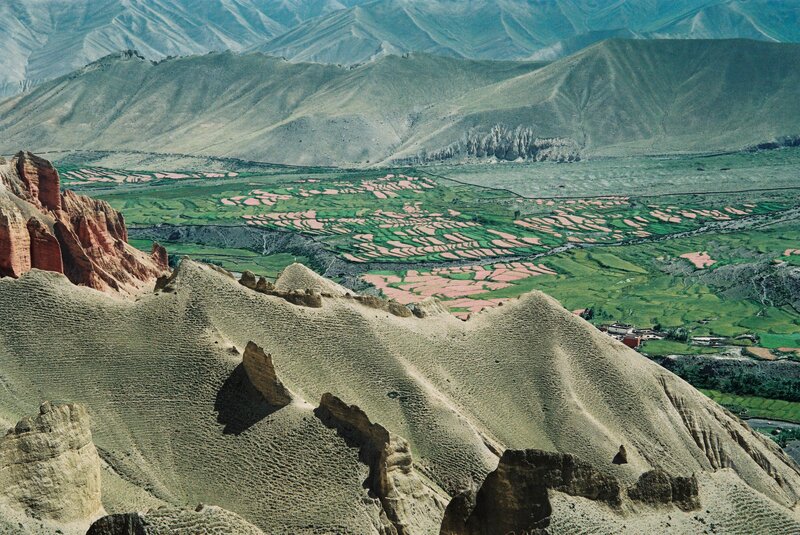 It eventually reaches the ancient capitol of Lo Manthang, a walled city built of whitewashed mud bricks and teeming with Buddhist prayer wheels and stupas, seeming to arise from the earth itself. Buddhist monasteries and nunneries are built into forbidding cliffs and mountain ledges, and the starkly beautiful, windy, arid Tibetan plateau is unbroken for many hours of trekking, or riding by horseback. 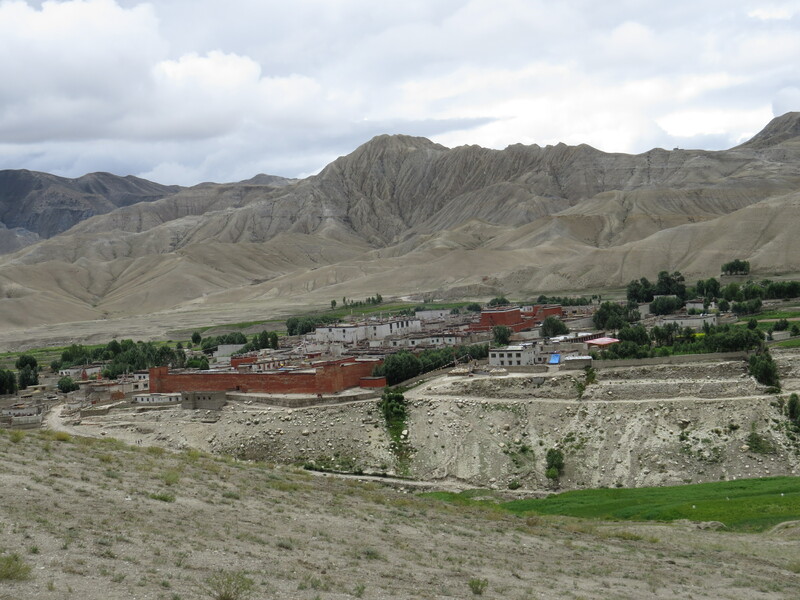 The trek enters upper Mustang at Kagbeni, a quaint medieval town nestled in apple orchards and encircled by snow covered mountains. 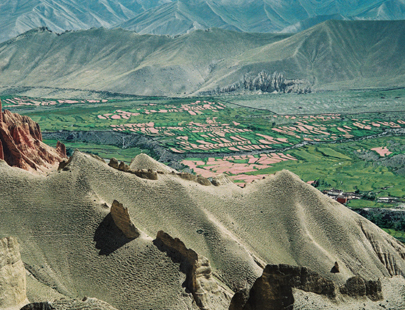 It eventually reaches the ancient capitol of Lo Manthang, a walled city built of whitewashed mud bricks and teeming with Buddhist prayer wheels and stupas, seeming to arise from the earth itself. 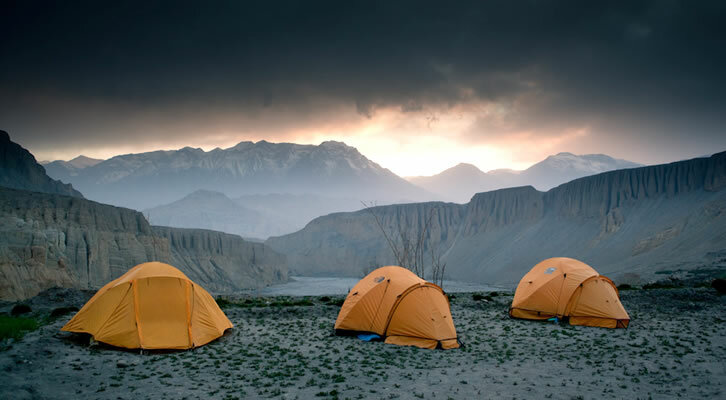 There are very few guesthouses and restaurants in the region; camping is required and most necessities must be carried in. 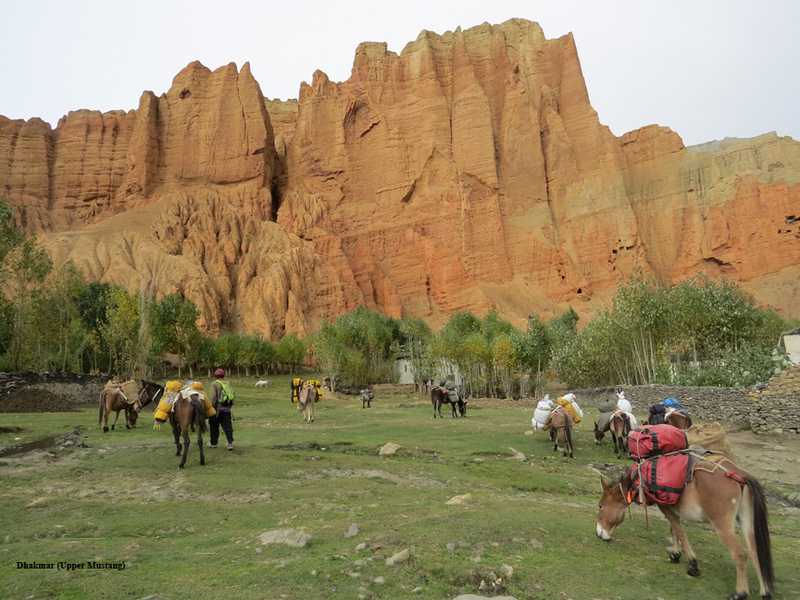 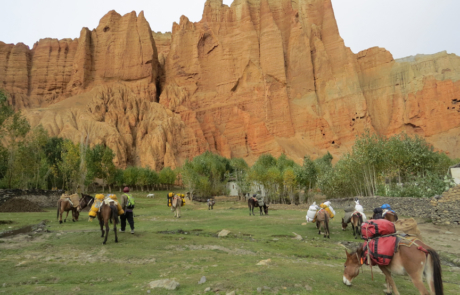 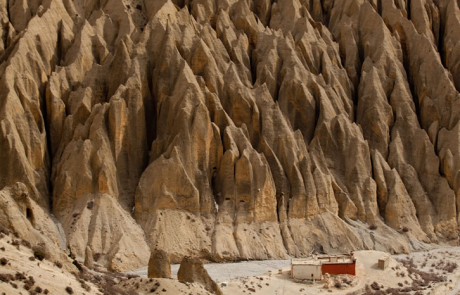 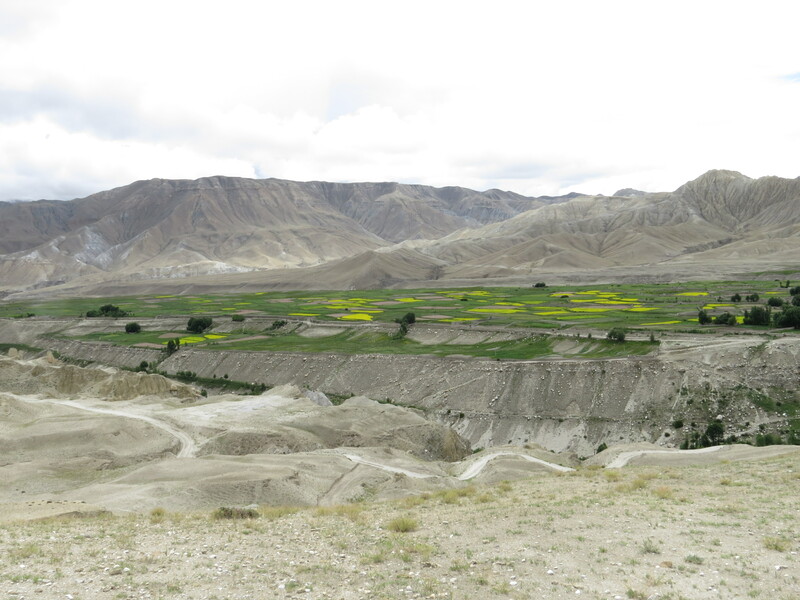 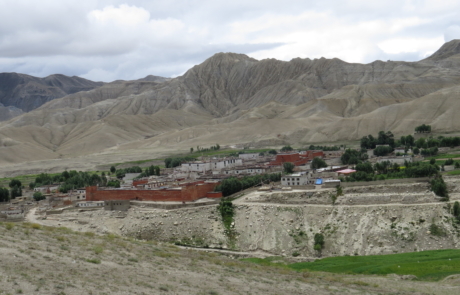 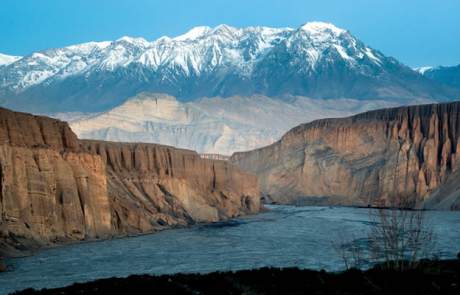 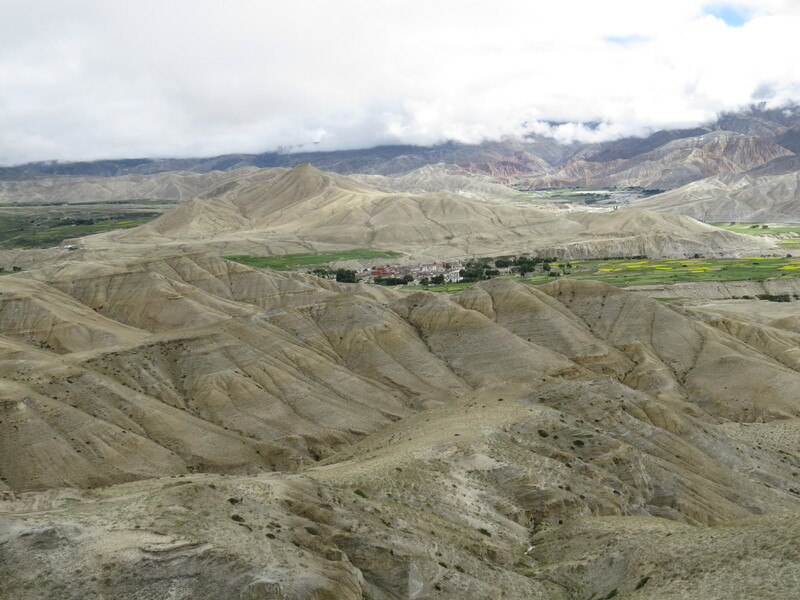 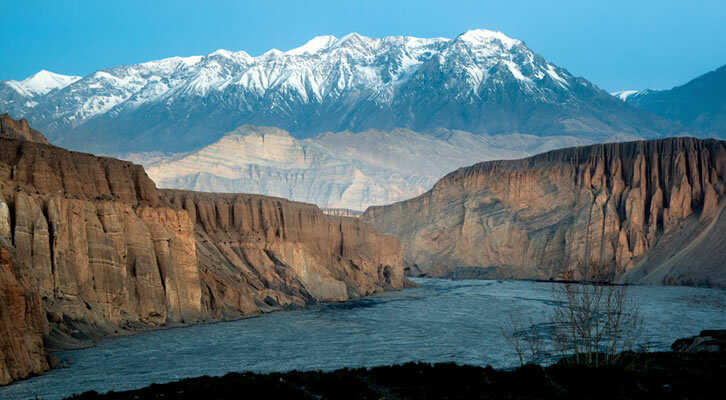 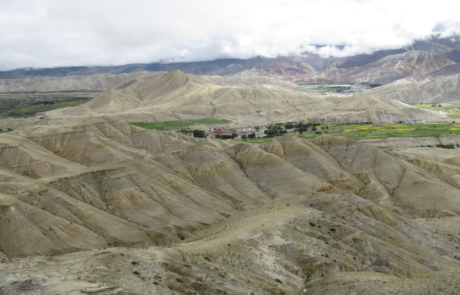 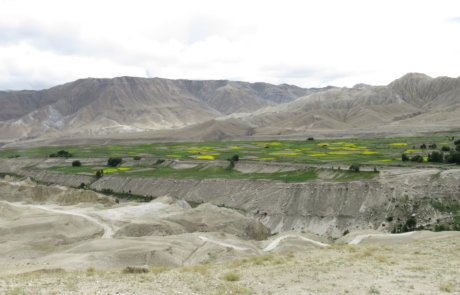 Entirely closed to visitors until the 1990s, upper Mustang trek is still a restricted and controlled trekking area, with its own set of rules for cultural conservation and require a minimum $500 permit fee for a ten-day trek. 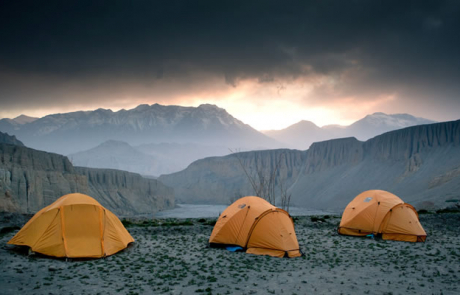 Treks are typically ten days, but can be longer. 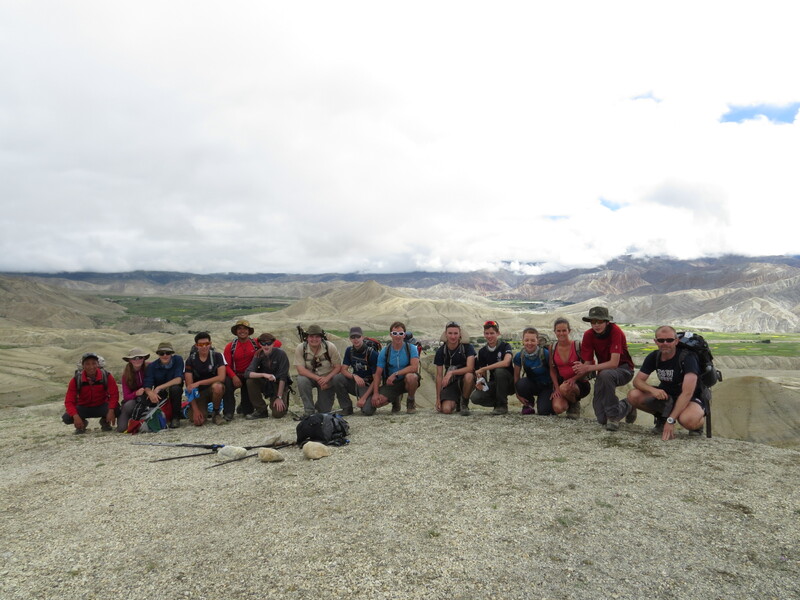 The high winds, altitude and cold add to the challenge of this trek even in the warmer months. 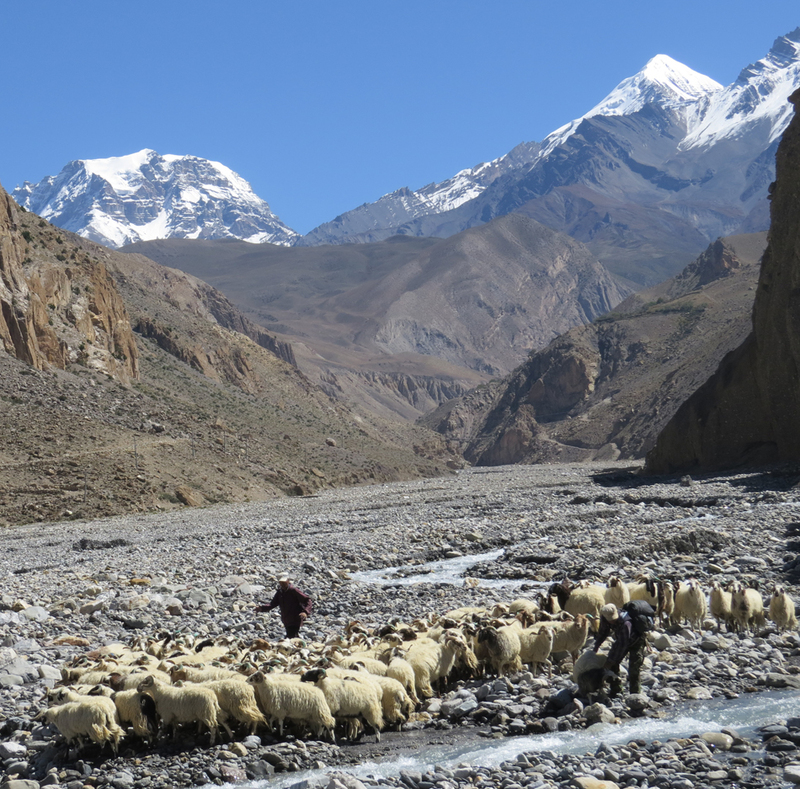 This trek is not recommended in the winter months and can be strenuous for some people. 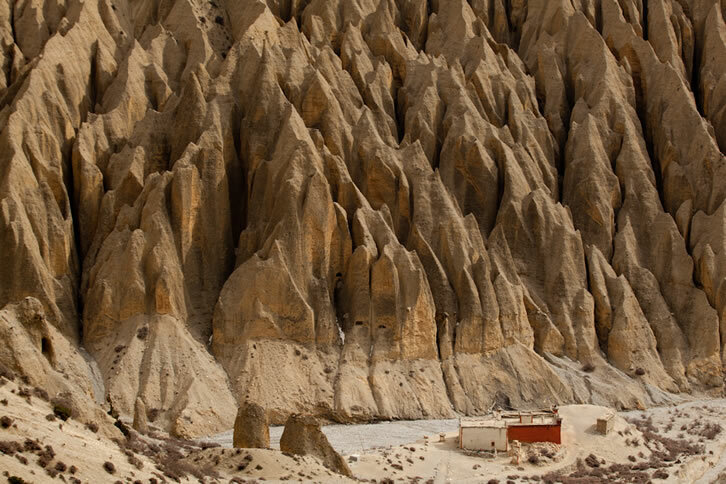 Entirely closed to visitors until the 1990s, upper Mustang trek is still a restricted and controlled trekking area, with its own set of rules for cultural conservation and require a minimum $500 permit fee for a ten-day trek. 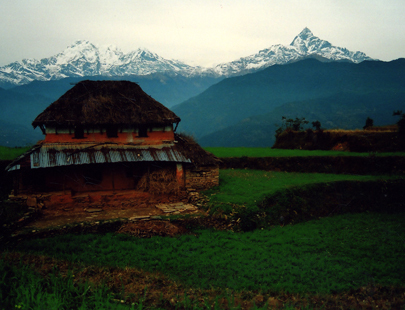 Treks are typically ten days, but can be longer. 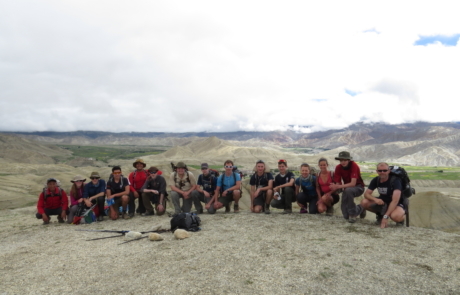 The high winds, altitude and cold add to the challenge of this trek even in the warmer months. 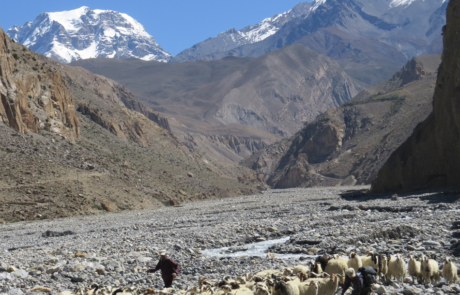 This trek is not recommended in the winter months and can be strenuous for some people.